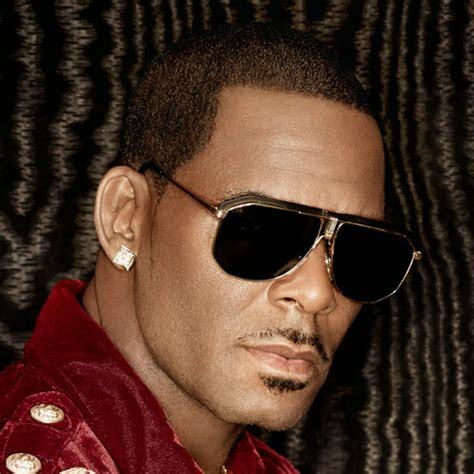 R. Kelly is an American R&B singer-songwriter, producer, and former professional basketball player. Referred to as the King of R&B and King of Pop-Soul, Kelly is best known for his many hit singles, including “I Believe I Can Fly”, “Bump N’ Grind”, “Your Body’s Callin'”, “Gotham City”, “Ignition (Remix)”, “If I Could Turn Back the Hands of Time”, “The World’s Greatest”, “I’m a Flirt (Remix)”, and the hip-hopera “Trapped in the Closet”. He won three Grammy Awards for “I Believe I Can Fly” in 1998. He sold more albums than any other male R&B musician in the 1990s. Born Robert Sylvester Kelly on January 8, 1967 Chicago, Illinois, he is the third of four children. His father was absent throughout his son’s life, and he was raised by his mother. Kelly attended Kenwood Academy High School, where his music teacher-mentor Lena McLin inspired him to become a singer. He used to sing on street corners, and started off his career with a group by the name of Public Announcement. He participated on a televised talent show called Big Break, hosted by Natalie Cole, which awarded him a $100,000 prize. He signed with Jive Records in 1991. He was married to R&B Singer/actress Aaliyah from August 30, 1994 to February 7, 1995 and Andrea Lee from 1996 to 2009. He has two daughters Jaya and Joann and a son Robert Jr.
Associated Acts: Aaliyah, Ludacris, Swizz Beatz, LL Cool J, Fat Joe, Snoop Dogg, T-Pain, Twista, N.O.R.E., Kelly Price, Michael Jackson, Celine Dion, Young Jeezy, Rick Ross, The Notorious B.I.G. *He was born on January 8, 1967 Chicago, Illinois. *He’s represented by Red Light Management. *He was nominated for a Grammy Award for writing Michael Jackson’s song “You Are Not Alone” in 1996.